The Egyptian Exchange (EGX) opened Sunday down slightly amid limited trading ahead of the Eid Al Adha holiday. 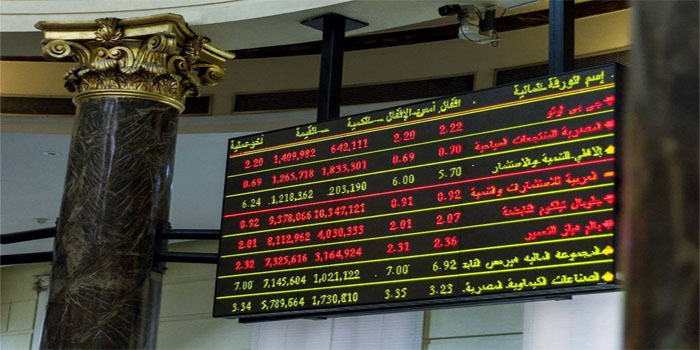 By 10:26 am Cairo time, the benchmark EGX30 index slipped 0.04% or 5.93 points to 15,290.04 points, with Arab and Egyptian investors being sellers mostly. Turnover amounted to EGP 27.8 million after 15.8 million shares were traded through 27,800 transactions. The EGX70 index edged down 0.04% to 739.98 points, while the broader EGX100 index decreased 0.03% to 1,898.88 points, and the equal-weighted EGX50 index lost 0.07% to 2,521 points. Foreign investors were buyers, netting EGP 1.14 million, while Egyptians and Arabs were sellers, netting EGP 669,190 and EGP 472,300, respectively. Earlier on Sunday, analysts forecast calm trading ahead of the three-day Eid Al Adha vacation. The EGX will be closed between Monday, 20 August and Wednesday, 22 August on the occasion of the Eid Al Adha holiday.